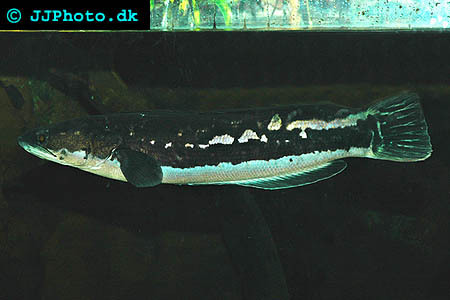 Company: Channa micropeltes (Giant Snakehead) should not be kept with smaller species. Aquarium setup: Channa micropeltes (Giant Snakehead) is as adult only suitable for large ponds, The aquarium or pond should be decorated with open areas and hiding places. There should be several planted areas available. They need surface access to survive. Feeding: Channa micropeltes (Giant Snakehead) accept most large meaty food types. 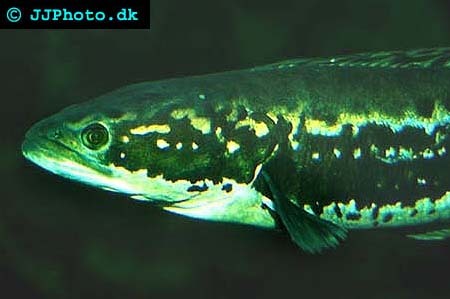 Breeding: Channa micropeltes (Giant Snakehead) build a nest in among plants by clearing an area. The eggs float up to the surface where they are guarded by both parents. The parents guard both eggs and fry.